The Postgraduate Studies Seminar consists of a diverse group of scientific activities that are a vital part of the institutional life of the ICS as an active community of researchers. 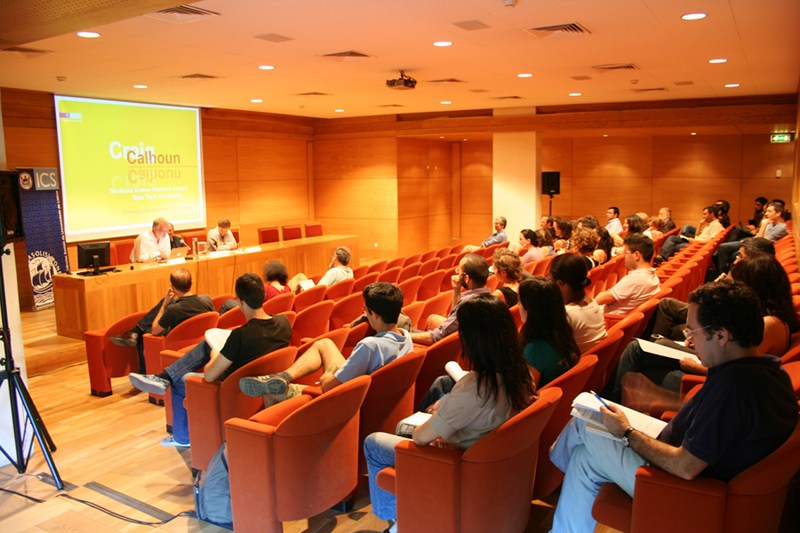 Research papers are presented by researchers from the institute and by guest researchers from other Portuguese and international universities. Seminar sessions run for two hours, divided into two periods, one for presentation and a second period for discussion, in which all are invited to take part. There is no evaluation as such in the Postgraduate Studies Seminar. Students are required to attend on a regular, but not permanent, basis, thus giving them a degree of choice in terms of subject matter and disciplinary options. Each student is required to attend two-thirds of the sessions in his/her specialty subject and the remaining third in other seminars of his or her choice. Each student is required to draft a summary report (about 1,000 words) of attendance and participation in the Postgraduate Studies Seminar sessions, to be handed in to their doctoral studies supervisor at the end of each semester.